Co-Ground loves coffee, but we love it even more when it helps change the world. Which is why we are launching a mobile cafe with 100% of profits supporting education and livelihood programs in the developing world. We want to make equality real, and we know we’re not alone. But we need your help! 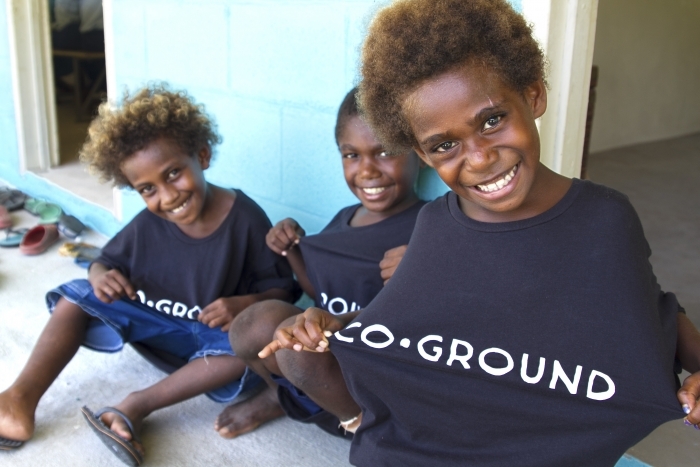 Co-Ground is a Anti-Poverty Award winning charity, in only one year we’ve grown from 3 to 30 passionate volunteers in Melbourne, Australia, and eight villages in Vanuatu. We’ve completed two international development projects and partnerships. We now have a number of local and global partners supporting our work, including the Vanuatu Ministry of Education, Rotary International, YMCA Victoria, Five Senses and a collective of passionate primary school students in Melbourne. We believe change happens when communities and cultures work together. This is not about helping. This is about making a sustainable ongoing difference together. In March 2015, Category 5 Cyclone Pam devastated Vanuatu. Founders Andrew Mellody and Nicole Precel wanted to do something to help. Alongside friend Aleksei Plinte they put on events under the banner of Melbourne for Vanuatu to raise money to make a change. Deciding they wanted to ensure every dollar went to the communities, they went over to remote Epi Island to work directly with communities, on community lead and developed projects. 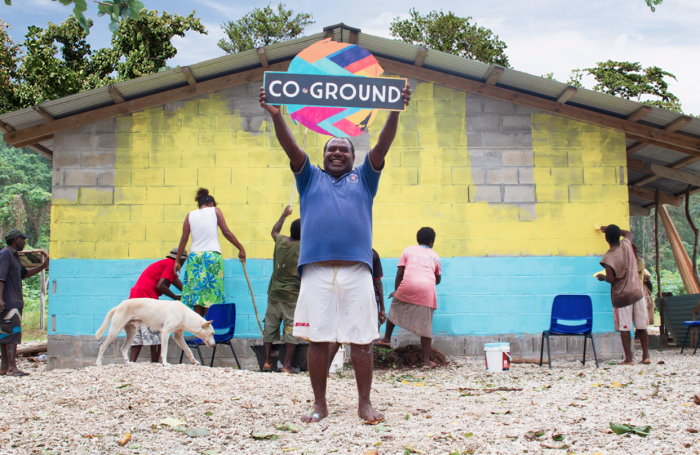 Co-Ground believes that change comes from empowered communities, from the ground up. 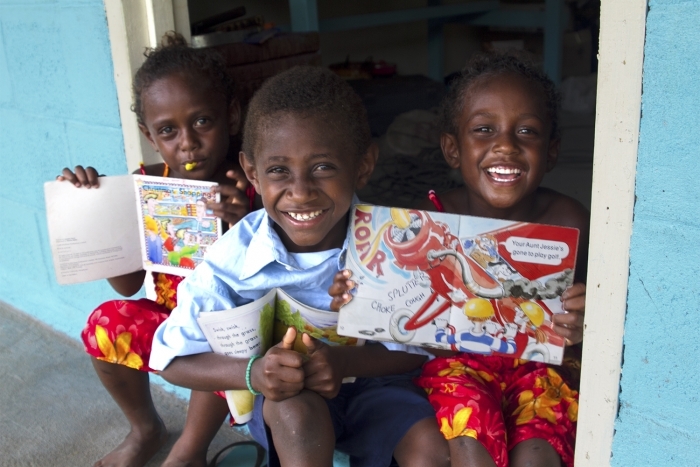 We’ve funded the repair and upgrade of Sara Primary School in remote Vanuatu and developed long-term partnership programs in cooperation with the communities. We believe in education and equal opportunity for everyone, enabling disadvantaged communities to lead themselves out of poverty both in Australia and abroad. Why should you get caffeinated for the cause? What if your morning coffee could give you more than just the caffeine buzz you need to start your day? What if the money from each cup could go on to change the world? How you ask? We have a dream that our very own social enterprise - a mobile cafe - will be our vehicle (pun intended) for change. Not only do we want our coffee beans to be good quality (as Melburnians would expect), we want them to change the world. The ENTIRE profit from each and every bean will provide ongoing and sustainable funding for our global development projects. Thats right, folks! 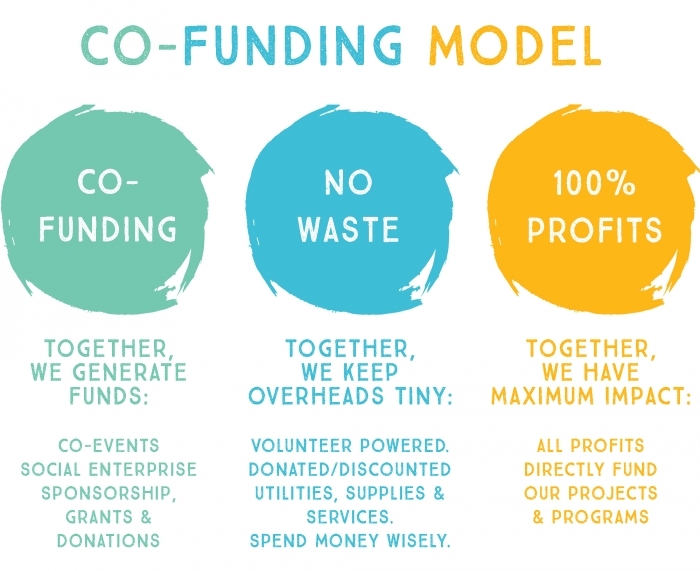 Co-Ground will use 100% of the profits to support our projects, giving us the chance to expand our community programs globally. We’ll also be supporting the sale of direct trade coffee, implementing training, development and leadership opportunities for young people in Australia - creating ways consumers can make a difference everyday. But we need some help to get there! This campaign will help us achieve our dream, by allowing us to purchase that vehicle. Our goal is $40,000 which will go to buying the vehicle and equipment to get off the ground. Based on our estimations, the mobile cafe will see earnings of about $50,000 profit in our first year with growth after that. The Co-Ground Café will be a mobile café on wheels. The van will be available for hire for events and regular customers whilst also trading at festivals and other local events. With permits for trade from local council it will also be a roaming business going where the customers are. The van will deliver premium coffee products. 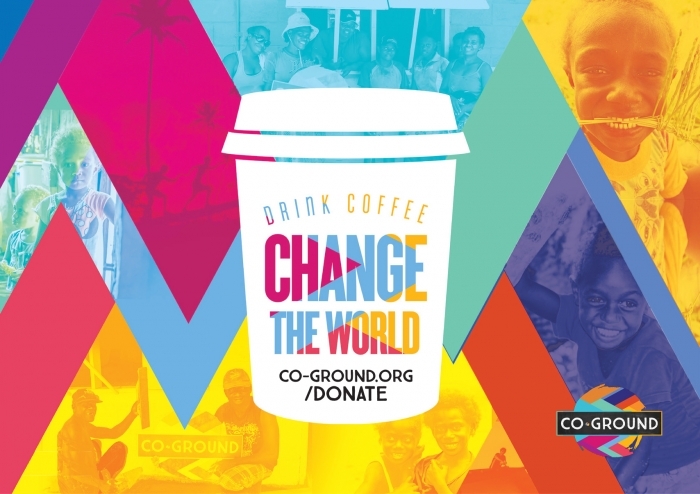 The Co-Ground Café van will also be unique as it is mainly run by volunteers and all profits will go to helping education programs in Vanuatu and expanding projects carried out by Co-Ground across the globe. How can you get frothing for change? 1. Click 'Donate Now' on this page to fund us directly! 2. Pick up one of our awesome incentives! • To kick things off we hosted a 24 Hour live-streamed variety show from a bathtub full of coffee at Thousand Pound Bend in Melbourne's CBD. This event was open to the public and involved over 80 performers, an epic launch party from 8am-1am and all coffee sales supporting the cause. Thank you to our community of musicians, comedians, even Rubik’s cube world champions for helping us spread the word in style! • A series of Co-Ground events where punters can #partywithpurpose with ticket sales supporting this campaign. • Cafes, bars, businesses, schools and workplaces joining the Co-Ground family by hosting donation jars and helping to fundraise. • A loyal team of super-fit fundraisers took on Run Melbourne. 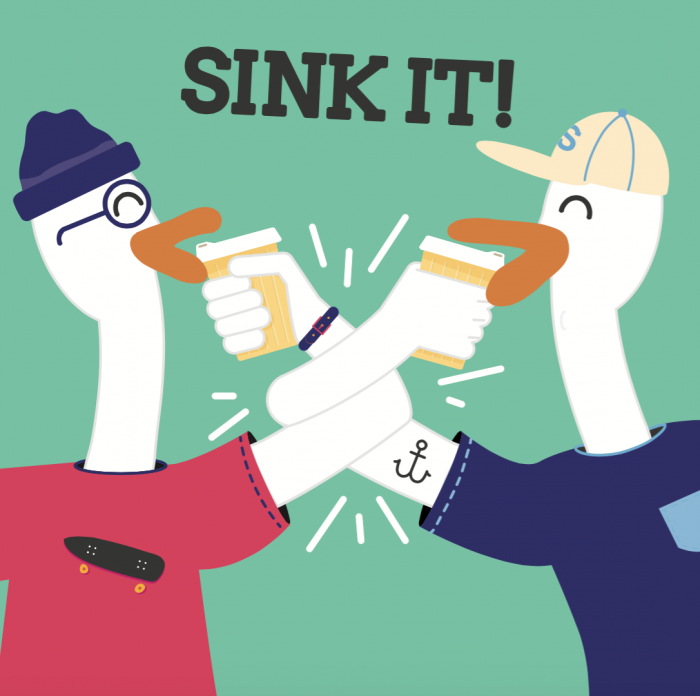 #Swanning: Grab a drink and a pal, Dink, Link, Sink! Upload a pic on socials using the hashtag #coground #swanning and the link to this page and donate the price of a coffee (or more) to our campaign! BAM! You are #swanning! Now nominate a friend to do the same. #Tubsessions: Are you a musician? 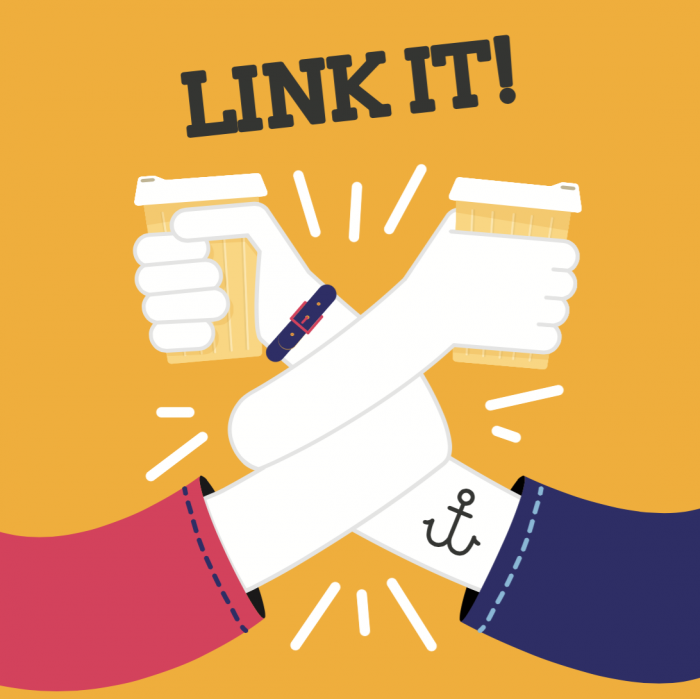 Spread the word about Co-Ground! Get in your own bathtub(G-rated of course) and play a song, record and upload to social media and then hashtag #coground and #tubsessions. It’s so easy! Donate the price of a coffee (or more) to our campaign! 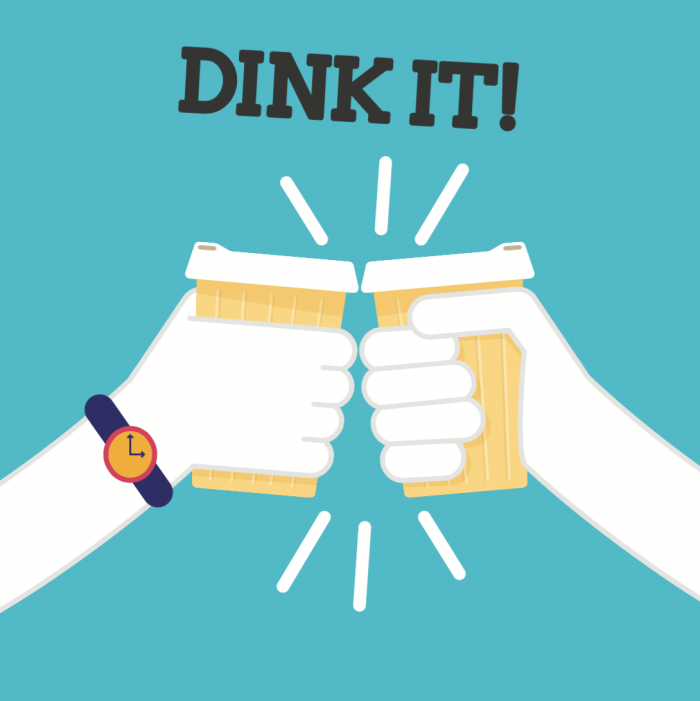 Then nominate a friend to do the same! With our Chuffed orders fulfilled, our supporters will be invited to participate in our growth. As a supporter your input will help to shape the future of Co-Ground. We don't like to slow down, so funding for our next education project in Sara is halfway there, so some of the Melbourne crew will be heading to Vanuatu to work with the team there shortly! Or subscribe to our e-newsletter, here. We would like to make it clear that our social enterprises will use 100% of the profits towards supporting Co-Ground partnership programs. This obviously does not include operational overheads such as supplies and staffing, however it should be noted that we aim for staff to be minimal to allow for meaningful volunteer and up-skilling opportunities. Drink coffee, change the world. 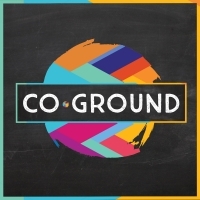 Co-Ground wants to make equality real, but we need your help! Help us raise $40,000 for a mobile cafe to end poverty! Let's 'bean' the change together. A sample of our special "bathtub blend" straight from our 24-Hour live stunt (not for human consumption). Flavour notes of Ash Williams, Barry Morgan, Philly, Hayden Calnin, Kylie Auldist and much more. Showcasing some of Melbourne's great musicians supporting this campaign. Downloadable for your convenience. 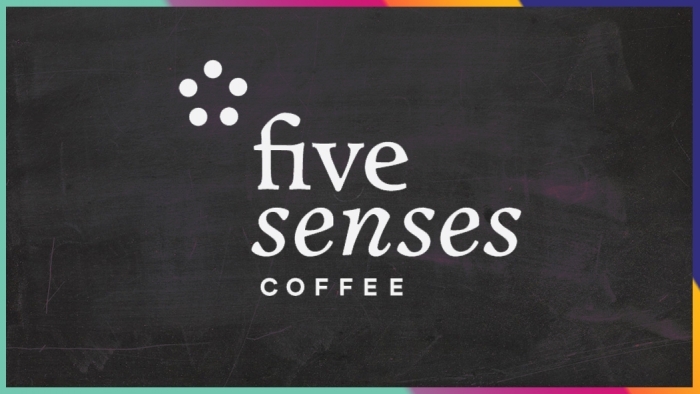 A 250g bag of Five Senses coffee, KeepCup & a home brew guide. A KeepCup that entitles the owner free coffee for 1 year from Co-Ground. 6-Month Coffee Subscription provided by Five Senses, a Keep Cup, home brew guide and the digital album. * $13,536 in offline donations included in total.